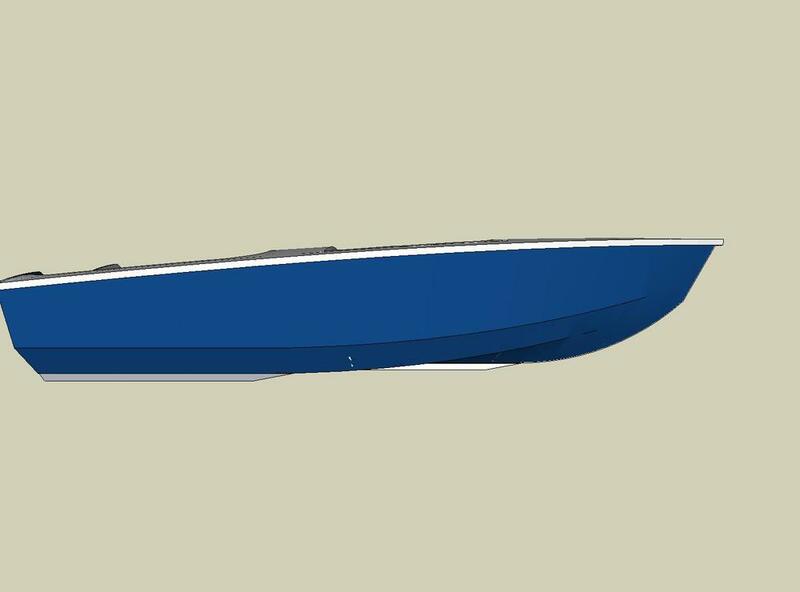 'Mia' is a 12 foot runabout, Her design is inspired by William Jackson's 1955 design for the 'Ace' which was produced by the Sande Boat Works between 1956 and 1962 (www.sandeace.com). 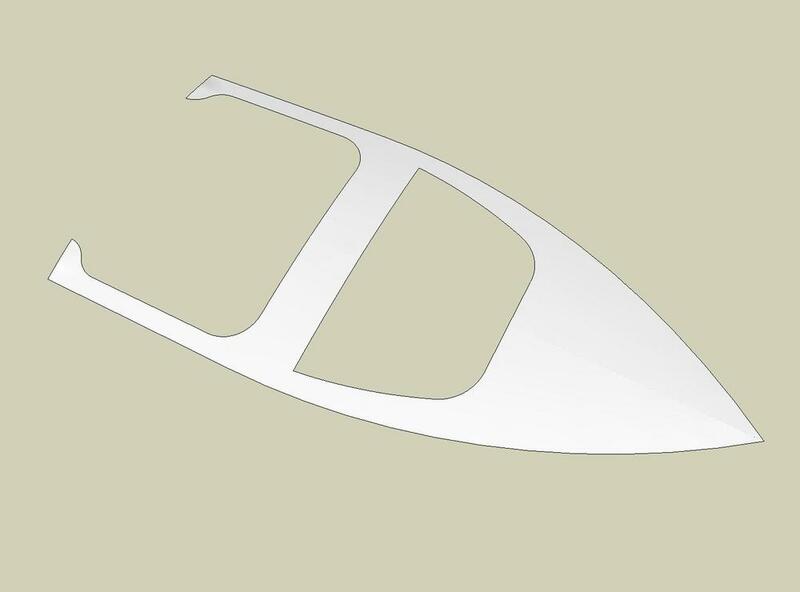 This design differs from those of the period in that it is to be constructed in the tape and epoxy resin method. 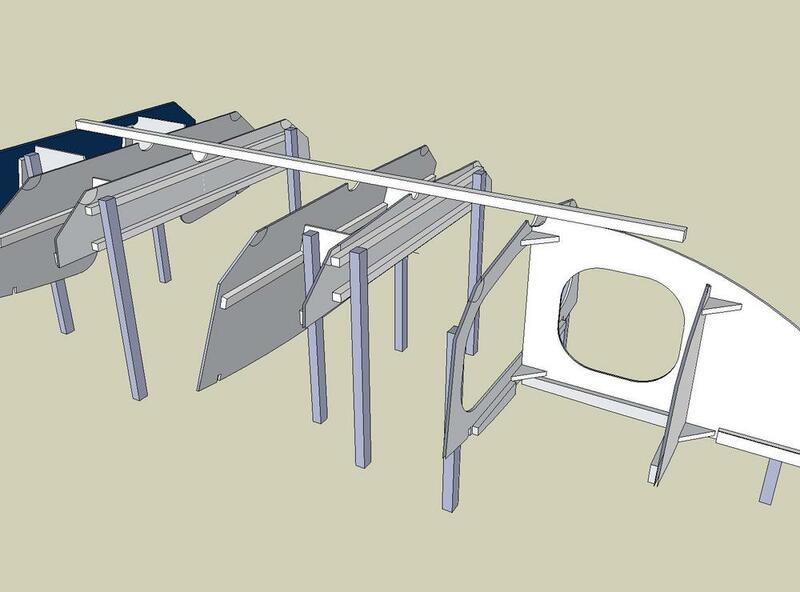 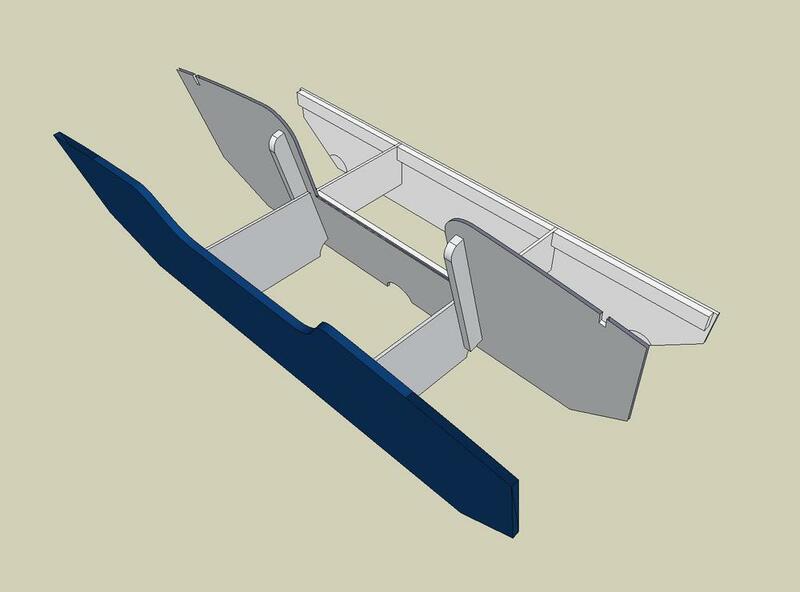 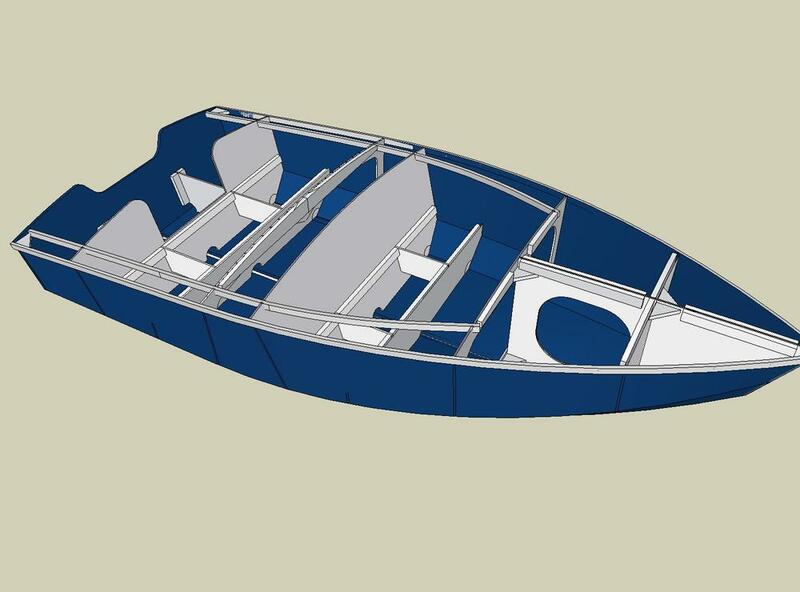 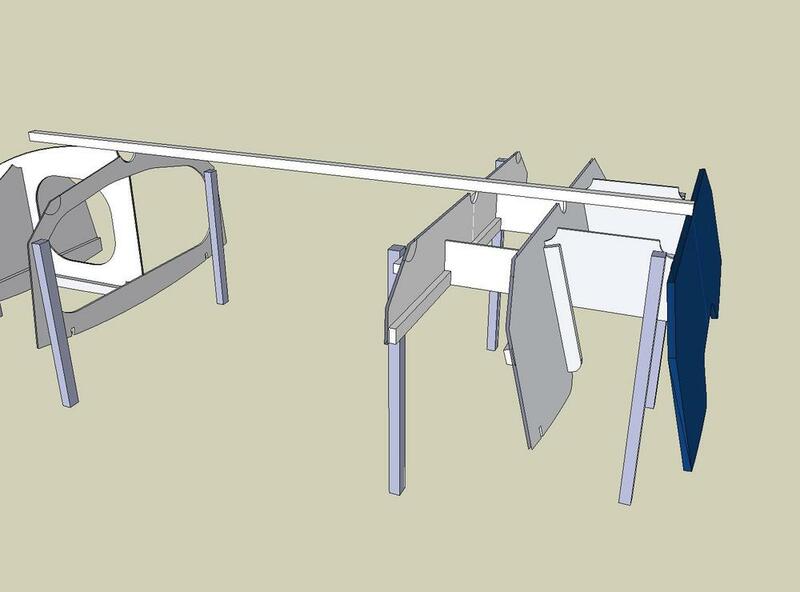 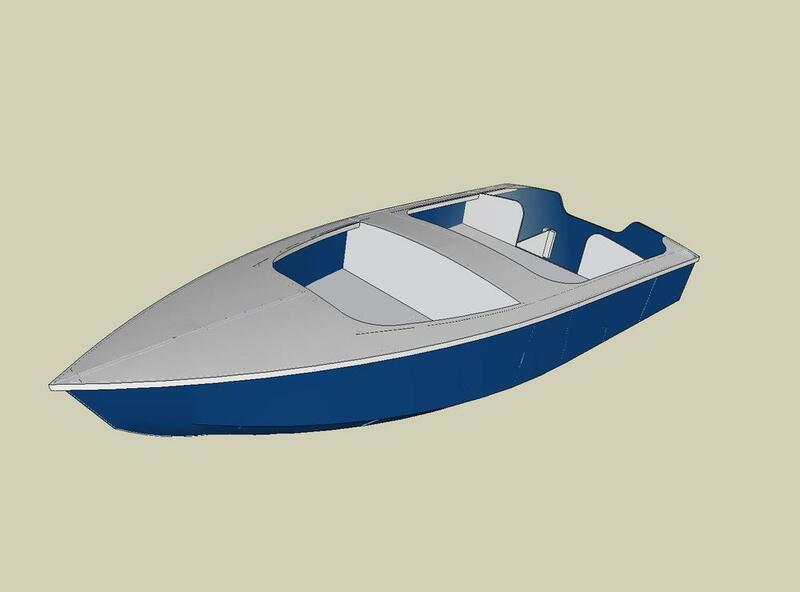 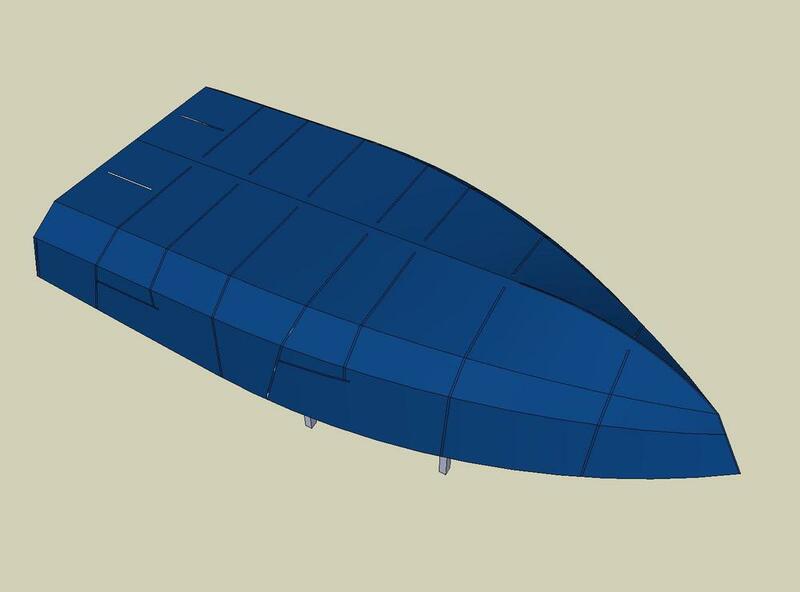 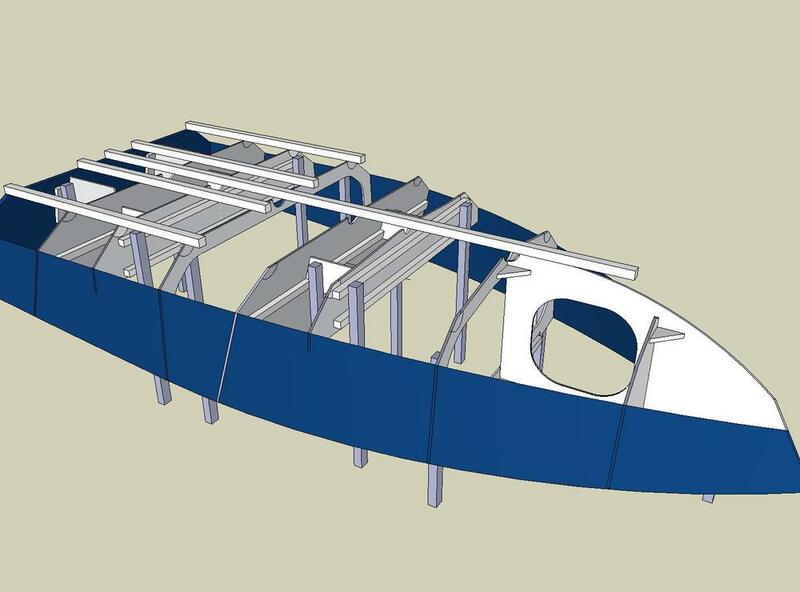 By designing the boat with 3D modeling software it has been possible to produce accurate dimensioned drawings and templates of all of the boat's components. 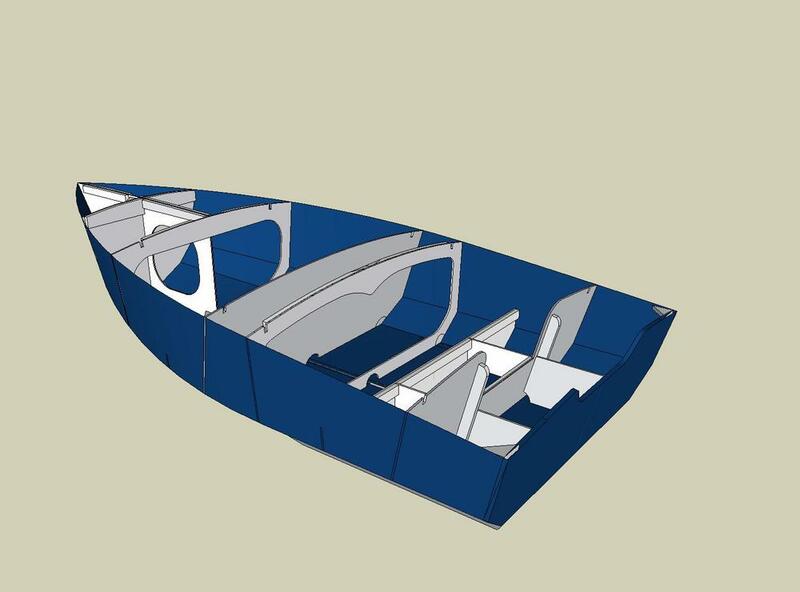 As a result, the boat has been designed so that all components, including seat frames, deck and hull panels combine to form a strong monocoque structure. 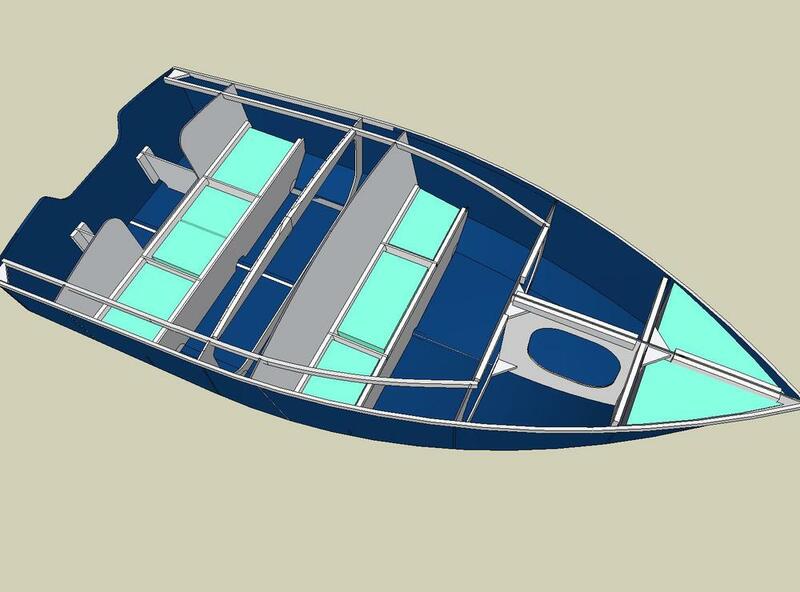 The boat is designed for short shaft outboard engines. 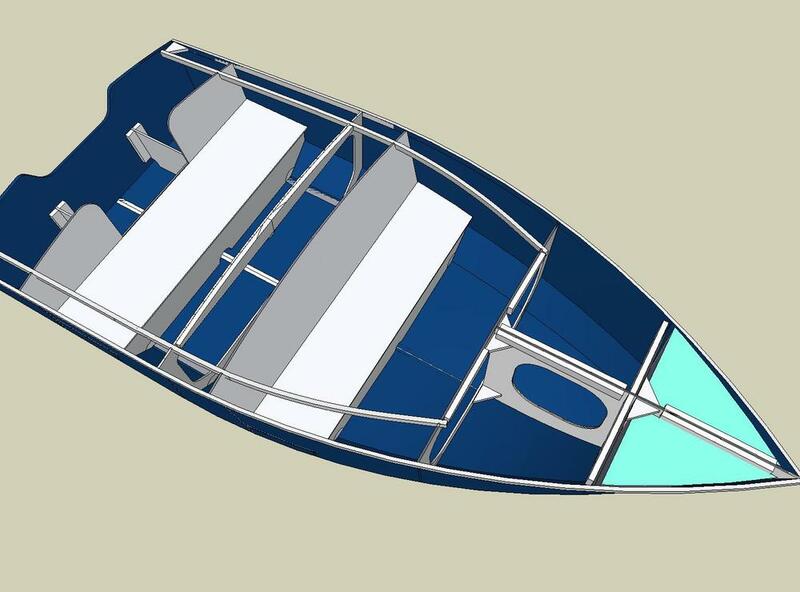 10 hp should get her on the plane with one person on board, 25 hp is the preferred engine size. 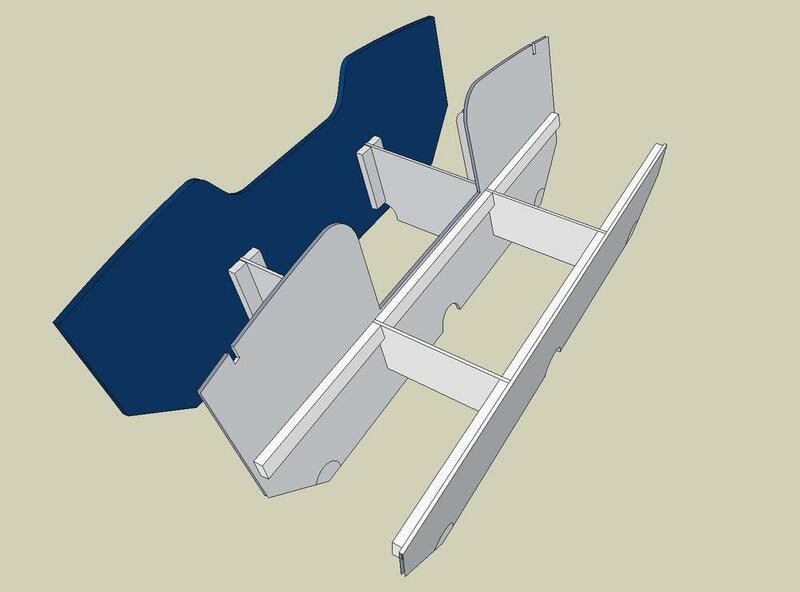 In addition to plans and a construction manual, full size template drawings of all major components are also available separately.